Our Client Panelto Foods have the following vacancy. Further company information can be seen at www.paneltofoods.ie. Panelto Foods is an Irish Food company based in Longford and established in 2004. Panelto produces a range of high quality contemporary sandwich breads for the UK and Irish and food service markets, from a highly automated world class bakery. Panelto has recently announced a major expansion doubling the size of the existing factory and workforce. Due to this expansion we are looking for a Senior Operations Manager to lead the operations team. We are searching for a proven production leader with a minimum of eight years working experience in an equivalent senior position. The individual will lead, grow and motivate a talented production team. Overall responsibilities for production activities including standards, capital expenditure programme, maintenance and site services, working closely with all internal teams in delivering business results. The role offers an excellent opportunity for an individual who would like to work in a dynamic and innovative growing environment. This is a new senior role working in a forward thinking and fast growing business. Shortlisting will apply. Panelto Foods are an equal opportunities employer. Applications by email only to Michael O’Sullivan, Arra HRD Ltd (michael@arrahrd.ie) by Tuesday 30 April 2019. Arra HRD Ltd was established on 17 December 2001. The company takes its name from the Arra Mountains, which can be seen as you drive from Nenagh Co Tipperary to Killaloo Co Clare on the lake drive. The Arra mountains are to the left of Portroe village and Lough Derg on the Shannon can be seen on the right. It was in Portroe Co Tipperary that Michael O’Sullivan the founder of Arra HRD Ltd was born. The company was formed with a view to supporting businesses who wish to outsource Human Resource Management Activity. 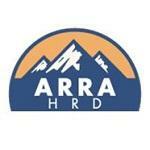 Arra HRD Ltd provide training and consultancy services across a range of HR areas. This website gives an outline of the main services offered by Arra HRD Ltd. Further information is available directly from the company. Please enter your email address and click 'Create Alert' to be notified when we post our next job.